LET’S NOT FORGET ABOUT THE RHÄIFRENSCH ! 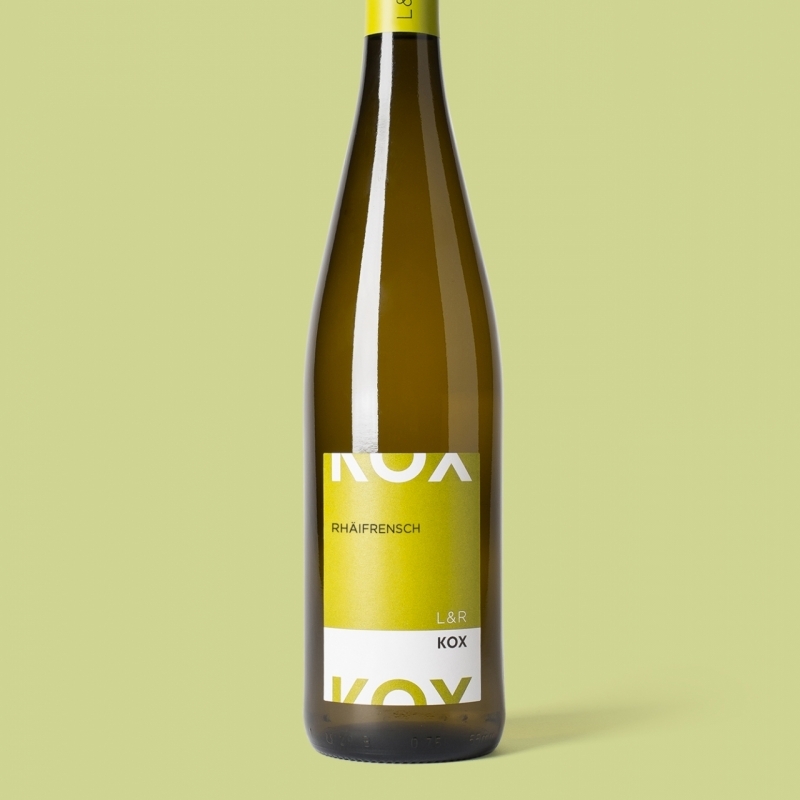 This variety originally from rhenish Franconia is created from a natural crossing between the Heunisch and Traminer varieties. Its name recalls its origins : « Rhäi » (Rhine river) and « frensch » (Franconia). 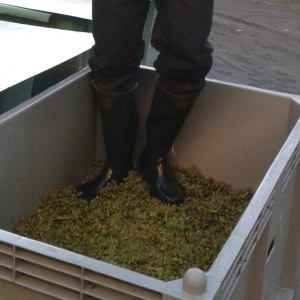 If harvested early, the grapes yield a dry wine, slightly acidulous and with a low level of alcool. This is the classic version and best known in Luxembourg.As a matter of fact, this was practically the only variety in Luxembourg vineyards during the past century. The majority of its production was exported to Germany where the variety was particularly appreciated as a basis for the sparkling wine « Sekt ». Today, approximately 90 hectares are still devoted to this wine in Luxembourg, amounting to about 7%. The Rhäifrensch is the modern version of this variety. 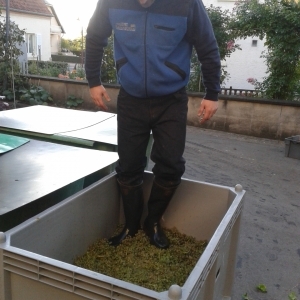 Its grapes are only harvested very late to allow a greater ripeness. 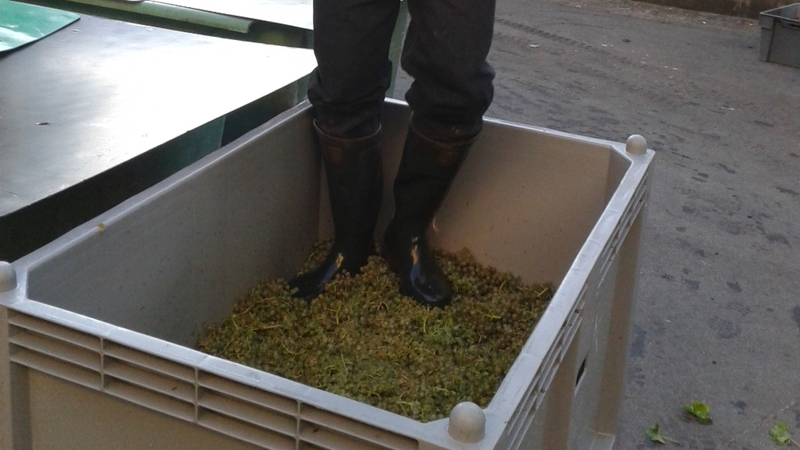 The grapes are then crushed by foot to allow for a softer pressing. During 12 hours of maceration the aroma leach from the grape’s skin into the juice. 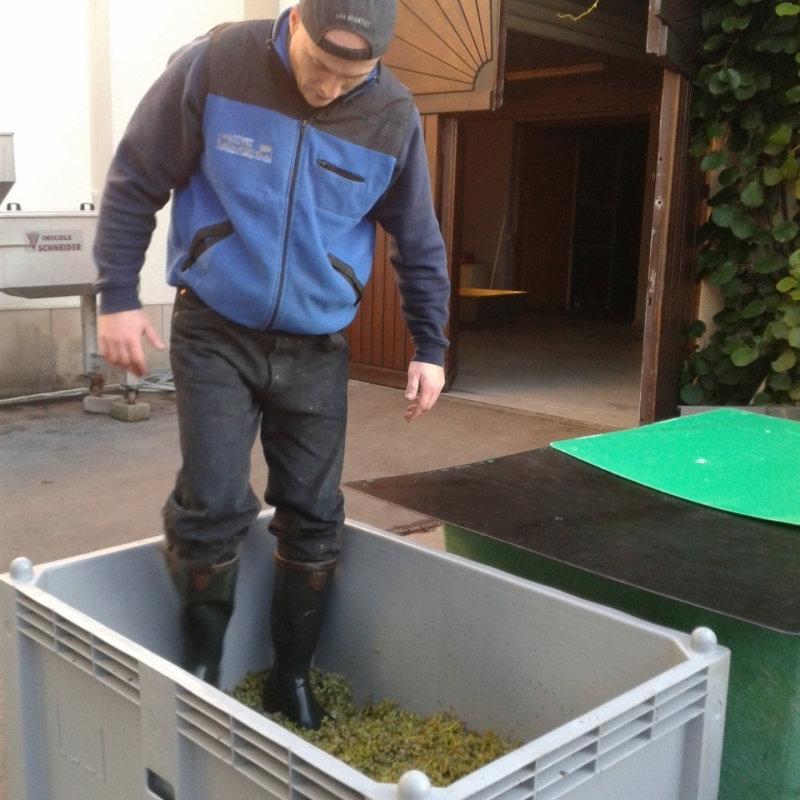 A spontaneous fermentation processus sets in given the indigenous yeasts of the grapes. 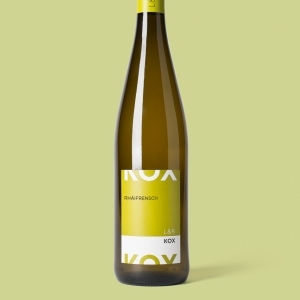 The result is a distinctive wine, very different to its classic version : fruitier, enriched with a crunchy acidity as well as unusual and earthy flavours. So, did you guess the variety ? It is none other than the Elbling - a variety often but unfairly underestimated !